African Animation Network (AAN) and DISCOP Markets announced, at a press conference at the recent DISCOP Joburg market, the official launch of DISCOMICS IQEMBU. AAN’s core mission is to create a sustainable African animation industry and central to achieving this goal is industry related education. Through its work across the continent over a number of years, AAN has established a pan-African partner network of national animation associations, animation festivals and pop culture events that now includes (subsequent to an equity investment made by DISCOMICS) the three longest events in Africa – Nairobi Comic Con in Kenya, ICON Comic & Games Convention in Johannesburg and Lagos Comic Con in Nigeria. Based on this inclusive network and DISCOP’s footprint of markets across the continent, DISCOMICS IQEMBU, with the support of key international industry partners – including Toonz Media Group, Baboon Animation and Toon Boom Animation – will drive forward a 3-pronged strategy. Based in India, Toonz Media Group is a global leader in animation production producing over 10,000 mins of animation per year. Baboon Animation, based in New York, is a world leading animation IP development team having created Emmy Award Winning and Oscar nominated writing, directing, and design for over two decades. Toon Boom Animation, based in Montreal, Canada, is the leading 2D animation software service provider in the world today. AAN will co-develop animation production curricula, including TOONZ ANIMATION FUKAMELA, and a specialised animation writing curriculum, BABOON ANIMATION FUKAMELA. When the partners are happy with the quality of the work produced, roughly after six months, the TOONZ ANIMATION SHESHISA and BABOON ANIMATION SHESHISA will launch. Both Toonz Media Group and Baboon Animation will supply service work to sustain the talent pool, pipeline, and infrastructure. In partnership with Toon Boom Animation, AAN will co-develop a specialised 2D animation curriculum, TOON BOOM FUKAMELA. 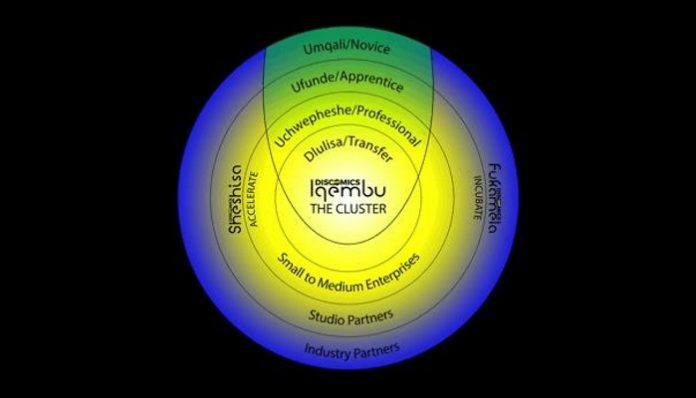 Inclusive of the TOON BOOM FUKAMELA will be training for the creative leads/trainers. Once these creative leads have finished their training, the TOON BOOM SHESHISA will launch, an internationally accredited TOON BOOM CENTER OF EXCELLENCE.